The 9 Acre site is a development of two phases. Phase 1, completed in 2014 and let to Morrisons is a 100,000 sq ft food store. 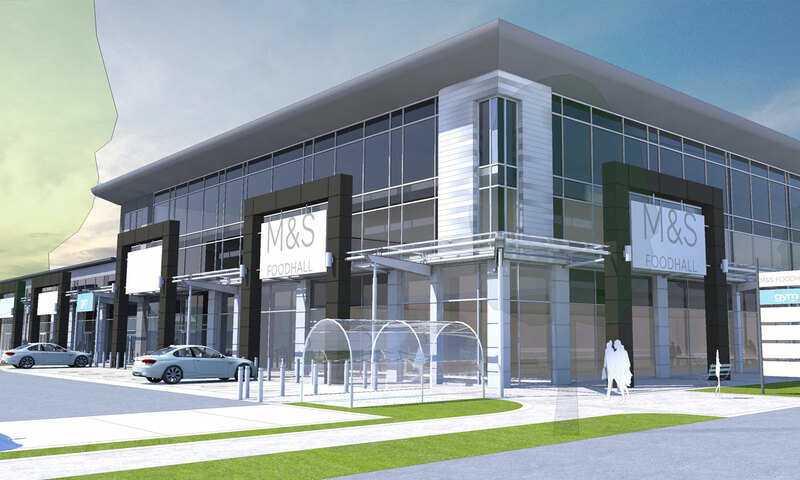 Phase 2, which has now received planning approval includes a 16,000 sq ft M&S Food Hall, a further 34,000 sq ft non-food retail and a 16,000 sq ft Pure Gym.